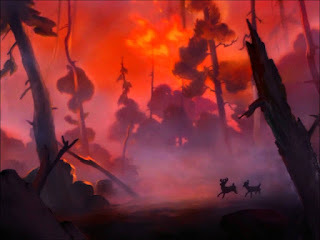 Story: The Dear, Lion and Forest Fire - Something New Everyday! boxed in by her natural predators. with negative thoughts and possibilities. would have likely resulted in death or disaster.